Courses for Teachers Courses and Seminars Helen has organised and delivered a number of courses and training sessions related to the development of children. The interest in these courses and demand for them has grown steadily in recent years. She works mostly with groups of professionals such as educators and health professionals, giving clear information about the developmental milestones of young children. 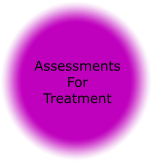 She describes the ranges of development that are considered normal, and what to look out for to recognise cases of concern that might need particular attention or further investigation. The following list gives an idea of the range of courses Helen has given and can give. However she is always prepared to design and tailor programmes or talks for those with more specific needs. For Educators Developmental milestones for early years teachers This popular course has been run in various educational institutions. It can be a single session overview or spread into several sessions when more detail can be covered. The main items include • Gross motor development – when can a child be expected to gain the skills of sitting, crawling, walking, running? Also covers later skills such as climbing, hopping, ball skills and team game participation. • At what stage should we be concerned if each of these milestones is not reached? What are the “ red flags” and alarm bells that we should be paying attention to? • How can children be helped and supported through these developmental transitions? • What activities can be encouraged in the classroom, outside in the playing field and in the home? • What clothing or equipment such as shoes or chairs are suitable and helpful? What controversial equipment should be avoided? • Acquisition of fine motor skills. Stages of fine motor development and how muscle tone, balance, posture and strength impact on reading and writing skills. • Inclusion in the classroom of children with varying special needs. 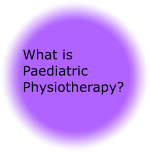 • The importance of early intervention and a multi disciplinary approach. 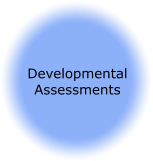 Comments from professionals Helen has worked with: “Helen ran a number of bespoke workshops for both our teacher and parent community on the subject of developmental milestones. Helen was always a pleasure to work with. She was professional, knowledgeable, organised and always very well prepared. She followed the brief to deliver suitably pitched workshops to different audiences, receiving positive feedback from attendees. 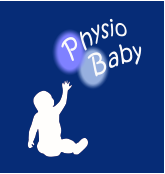 I have no hesitation in recommending her consultancy services.” Emma Dorrell, Acting Director of ESF Language and Learning, Hong Kong 2017 “Helen has played an important role in our multi-disciplinary team in providing professional physiotherapy services for children with special needs. She provides feedback to teachers as well as advising parents individually and during training sessions. She has conducted workshops and training for parents and staff. She also provided educational talks to kindergarten teachers through participation in our project called Pilot Scheme on Onsite Preschool Services. Helen has been an outstanding and valuable asset to the the organisation. She has extensive and well rounded paediatric experience and has demonstrated a high degree of professionalism. I am confident that she will bring her strengths to any project she endeavours in the future.” Wong Wai Mui, Stella, Executive Director, Watchdog Early Education Centre, Hong Kong 2017 Over a one hour session, Helen presented to a range of teachers about the physical development of children from their early days as babies through to the age of seven. Helen taught the group about the way in which children develop, their core and back strength and the development of fine and gross motor skills. Helen’s session informed teachers about the ways in which children naturally develop their skills, what to look for in order to see that children are progressing as they should and helped us recognise and identify the tell-tale signs when children are not meeting their developmental milestones. Helen’s presentation was extremely relevant at a time when so many children struggle to meet their developmental milestones. The presentation was engaging, interesting and most importantly, entertaining! I would have no hesitation to welcome Helen back to our school. Mira Hasofer, Head of Elementary, Carmel School Association. 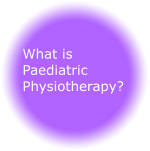 Helen is an excellent physiotherapist, providing appropriate treatment and care to young children who may have delays or are at risk in their development. 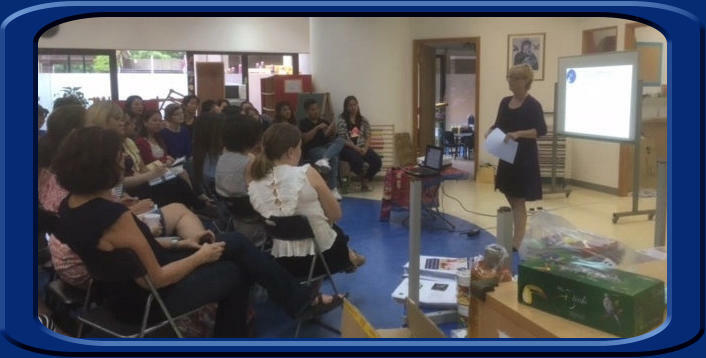 She is a knowledgeable speaker and trainer and Helen provided our teaching staff with an informative and rigorous workshop. Our teachers were engaged and actively participated in the session, as Helen demonstrated and linked theory and practice. It was a great learning experience for teachers, as it gave them the practical tools to identify, intervene and support children with delays in motor skills in the classroom. Tess J Baguio, School Principal, Small World Christian Kindergarten Anatomy courses for teachers of Yoga. Helen started teaching both anatomy and physiology to aspiring Yoga teachers as part of their Yoga Alliance course requirement. She has taught these courses both in Switzerland and in Hong Kong and been an exam writer and marker for final semester Yoga students.